...is to feel better! What a week - with too much of it spent in bed. It would appear that the bugs the kids so kindly brought home to me, have finally taken their toll. I'd no sooner got through the Choir's big Christmas concert on Saturday night (check out our video here!) and I was down for a day in bed. Crawled back out of my pit on Monday to sing with the choir again - this time at Castlecourt and I'm now back in bed again. But building strength for yet another pre-Christmas gig, tomorrow evening (Thursday) at 6.45pm in House of Fraser, Belfast. If you're near Belfast, do come in to hear us on the 2nd Floor at the escalators. We will be filling the whole store with joy - it's always a great gig and you can pick up our new CD there too. Or online here if you're further afield. I've been shopping around and currently, you can pick them up in a few reputable retailers (to avoid fakes) for the same price. 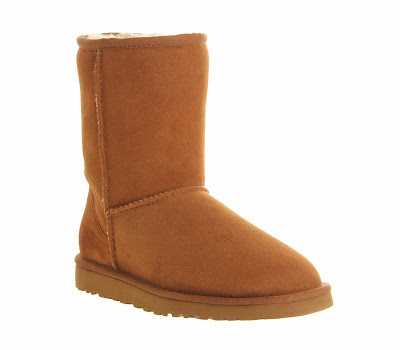 The Classic UGGs are rarely discounted so it's not a big risk to get them for Christmas. Second item is an iPhone 5c. My first ever Apple phone. I've been on SIM only for about 6 months with an 18 month old HTC which in fairness to it, is working ok, albeit very slowly and with occasional hissy fits where it just shuts itself off or won't let me answer calls and texts. So I'm arranging a new contract with my existing provider and am hopeful of a little white box under the tree on Christmas Day! And that's it - who says women are hard to buy for?? Wish I could share my hubby's presents to give you husband inspiration but he reads the blog...so you'll have to wait until after Christmas - or email me! 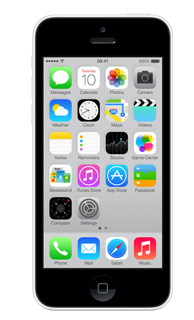 I really want the new iPhone! Need to save up! Well whaddya know? I had the inkling of a cold and thought I was going to stave it off but no - tonight is the night - it's come on big time and I'm sat with my box of Kleenex beside me and a blocked nose. Pah. And there is something so cosy about wearing Uggy boots as slippers indoors. I swear by them. I've just about worn out my current pair and am ready to get the next pair from my stock piled stock. Keep up the vit C and hope you feel better soon! I'm after a pair of ugg slippers this yr actually, but I fear it's too late to start dropping hints now, so I think I'll have to buy them for myself come January! You are easy sorted this year, I have a list as long as my arm!! 60% off bargains from Boden! Have I ever told you how much I like grey? The Pink Coat Again - With a Scarf!